"Photography is the art of the moment; moments are gone if not captured by the photographer." Helmut Kuhn catches the moment in his sensitive photographs. His work illustrates a love and passion for nature. Helmut Kuhn, a native son of Vienna, Austria, has established himself firmly among the clan of Southwestern landscape photographers. 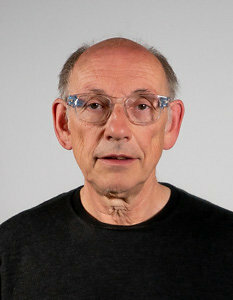 Kuhn's background in technology - he has degrees in Technical Engineering and also in Photography - led him first to commercial photography, and later to become one of Austria's most successful multimedia producers. As a twelve year old, he got his first camera: a Kodak Instamatic. It was the beginning of a never ending fascination. Today, he uses state of the art digital equipment. Helmut Kuhn has traveled through Europe, Asia and North America during his career, primarily in pursuit of special places and moments of natural majesty. Moving to the United States brought photography back into primary focus. Using the high quality process of Giclee Printing to produce long lasting, highest quality prints on canvas and metal gives him the possibility to present his art in the quality he was always looking for. Digital photography, new 4k video technology and a flying Hasselblad let him expand his work into aerial photography and video. He lives in Cambria, California and runs a successful visual design business.